Hello Sunday, the day of rest, or in our case the day you spend manically trying to squeeze all the odd jobs in while Daddy’s at home to help with the kids. On Friday Night I got a train home and he view when I came out from the station made me stop and need to take a photo! 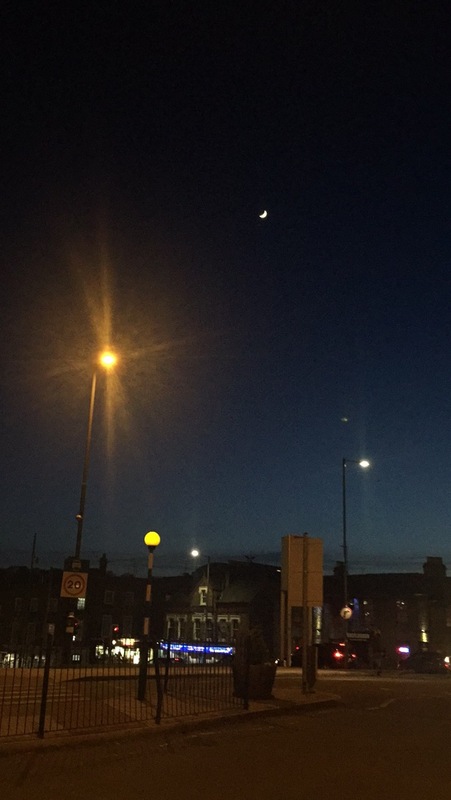 Unfortunately it didn’t quite do it justice but the gorgeous blue of the sky, the shine of the street lamps and the brightness of the moon was just stunning! love the light beam in this picture.